Did you read about how Dave improved his threshold power 62 Watts? Did you read how Gonzalo increased his VO2 Max power 59Watts? Both riders achieved these results in only 12weeks and one of the most important secrets to their success is power meter training. Power meters are no longer reserved for elite cyclists, but are now being used by a significant number of amateur riders. Though, power meters are expensive, there are now affordable alternatives to the king of power meters: SRM Crank System. SRM is considered as the most reliable power meter on the market. However, there are now cheaper alternatives such as PowerTap SL and Ergomo, who represents worthy alternatives. If the financial crisis has arrived in your budget, Polar monitors offers a much cheaper solution that gives you a feeling of what power meter training is. I don’t think it is fair to compare the Polar with the more expensive power meters, simply because the prices are so different. SRM, PowerTap and Ergomo perform much better, but also cost more than twice as much as e.g. Polar CS-600 or iBike Pro. In brief a power meter shows you how much work you perform (Watt) and a heart rate monitor how hard your body works (pulse / min). This means that a power monitor does not replace the heart rate monitor, but rather complements with data on how hard you are pedaling. It opens a chain of opportunities for interval training, analysis and aerodynamic optimization of equipment etc. The main reason to use a power meter in your cycling training is you get a better and more accurate picture of the physiological parameters you want to improve. An old rule of thumb says that you get good at what you train. Using a power meter makes it easy to train exactly what you want to improve. Your training must be tailored to the properties you want to improve. Based on your past performance in tests, training rides and races, you can plan your interval training exactly as you want it to be. Best of it: It’s not so difficult. 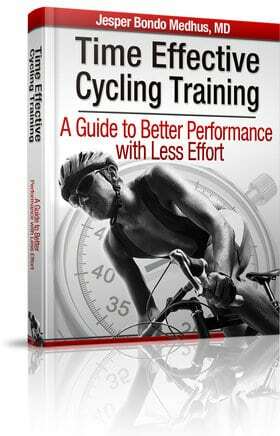 Indeed, training with a power meter is easier than for instance heart rate monitor training. Now you might think: Can I really find out using a power meter? Yes! It’s really easy and it makes a lot of sense to use a power meter, because you get so much valuable information about your performance in training rides and races. Don’t be afraid of the technics. It’s not rocket science to use a power meter and most riders can’t get enough of them when they’ve first started using them. They get addicted to power meter training! It’s pretty straight forward to use a SRM monitor when you know a minimum about power meter training. 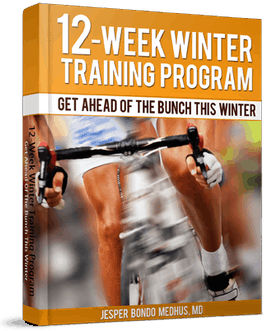 I love to track my progress with 20min maximum power tests every 8th week.